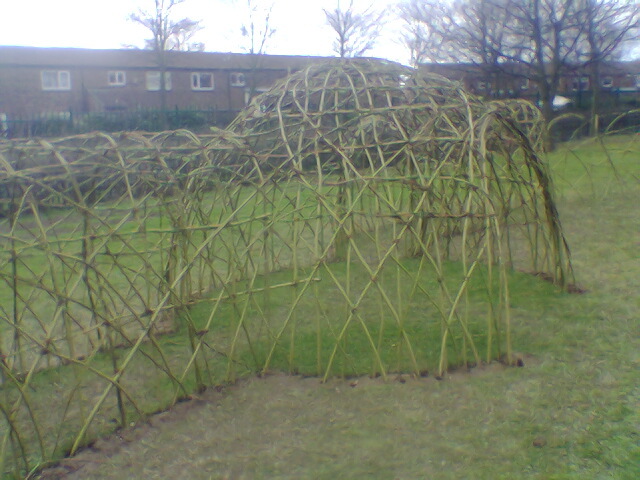 this week we were at Sunnyside School, Coulby Newham, Middlesbrough creating a 'willow village' of 3 different sized domes connected by tunnels. 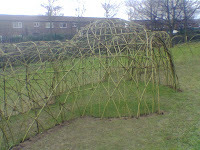 This was part of the school grounds improvement organisewd by Groundwork Trust, Middlesborough. 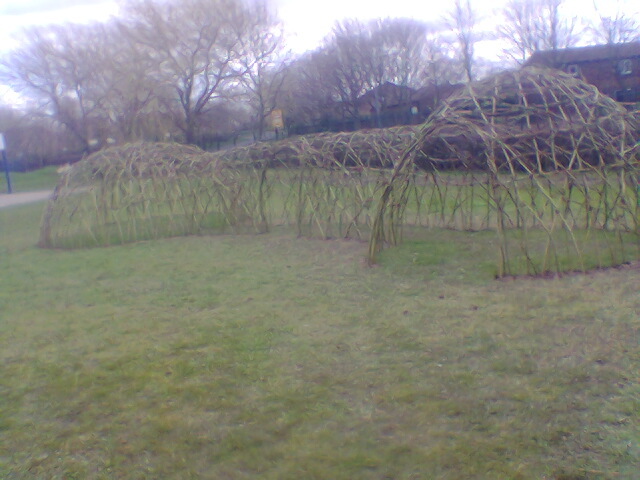 Despite the weather being appallingly wet and soggy the children helped to plant and weave the willow. 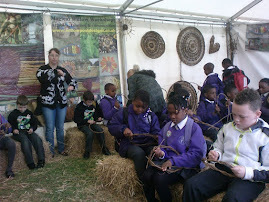 Tomorrow we are at IKEA, Bristol running some Easter willow workshops in the store, so at least we won't have to wear out waterproof outdoor gear and get muddy boots!